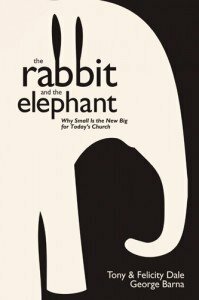 Order the book The Rabbit and the Elephant: Why Small Is the New Big for Today’s Church direct from Amazon. I want to start a house church, what do I do? Rather than try to answer this question fully in the space available, let me instead point you to a few resources that have been used around the world with great effect. Read and pray through the Getting Started Manual written by Felicity Dale. Many missionaries and others around the world have used the very practical approaches outlined in this manual to start church planting movements. Now help the new group members to get hold of copies of An Army of Ordinary People. As individuals read this, they will find the Holy Spirit encouraging them and giving them the confidence that they now can move out to be starting new churches also. You can also find help through the regular articles and newsletters that go out from the House2House.com, and you may also enjoy the interaction with others on this journey at simplechurch.com .